Map of Newton in Sussex County. Inset: Location of Sussex County highlighted in the State of New Jersey. Newton was incorporated by an act of the New Jersey Legislature on April 11, 1864, from portions of Newton Township, which was also partitioned to create Andover Township and Hampton Township, and was then dissolved. Additional land was acquired from Andover Township in 1869 and 1927, and from Fredon Township in 1920. As of the 2010 United States Census, the town's population was 7,997, reflecting a decline of 247 (-3.0%) from the 8,244 counted in the 2000 Census, which had in turn increased by 723 (+9.6%) from the 7,521 counted in the 1990 Census. Newton is located near the headwaters of the east branch of the Paulins Kill, a 41.6-mile (66.9 km) tributary of the Delaware River. In October 1715, Colonial surveyor Samuel Green plotted a tract of 2,500 acres (1,000 ha) at the head of the Paulins Kill, then known as the Tohokenetcunck River, on behalf of William Penn. This tract, which would not be settled for approximately 30–35 years, was part of the survey and division of the Last Indian Purchase by the West Jersey Board of Proprietors. At the time of Green's survey, northwestern New Jersey was populated with bands of the Munsee, the northern branch of the Lenni Lenape peoples. The first recorded settler within the boundaries of present-day Newton was a German Palatine immigrant named Henry Hairlocker who arrived sometime before 1751 when he appears in Morris County records as receiving a tavern license. The Newtown Precinct, a large township, was created in 1751, and Sussex County was created from Morris two years later on June 8, 1753. [a] The township would be named Newtown after the colonial village of Newtown in Queens, New York from where the Pettit family originated (the six Pettit brothers, all prominent landowners and influential figures in early local government, settled in northwestern New Jersey in the 1740s) or from its status as a "new town". In 1762, Jonathan Hampton, of Elizabethtown, surveyed the location for a county courthouse and town green at the intersection of a military supply road he built during the French and Indian War and a major north-south artery called the King's Highway (present-day New Jersey Route 94). The construction of the courthouse was completed in 1765 and the village that developed around it became known as Sussex Court House. The county courthouse was the site of a raid by British partisan Lieutenant James Moody during the American Revolution. In 1797, the village's post office was renamed Newtown and later, in 1825, the spelling was altered to Newton. Newton Township would cede land to create new townships on several occasions in the eighteenth and nineteenth-centuries, until a final division dissolved the township on April 11, 1864, through a legislative act of New Jersey Legislature that created the village of Newton as an incorporated town and two rural townships—Hampton and Andover. Newton is located in the Kittatinny Valley, a segment of the Great Appalachian Valley. The Great Appalachian Valley is a gigantic trough—a 1,200-mile-long (1,900 km) chain of valley lowlands that stretches about from Quebec to Alabama and is the eastern-most edge of Ridge and Valley Appalachians physiographic province. This physiographic province, one of five in New Jersey, occupies approximately two-thirds of the county's area (the county's western and central sections) dominated by Kittatinny Mountain and the Kittatinny Valley. This province's contour is characterized by long, even ridges with long, continuous valleys in between that generally run parallel from southwest to northeast. The features of the Ridge and Valley province were created approximately 300–400 million years ago during the Ordovician period and Appalachian orogeny—a period of tremendous pressure and rock thrusting that caused the creation of the Appalachian Mountains. This region is largely formed by sedimentary rock. Newton's land area drains into the watersheds of the Paulins Kill and Pequest River—two rivers that are tributaries of the Delaware River. These watersheds are separated by slate ridges that are part of the Martinsburg Formation. These slate ridges were quarried for slate for roofs and other industrial purposes beginning with a quarry opened by Elijah Blackwell in 1859 that operated under a series of different owners and commercial entities until 1930. According to the United States Census Bureau, the town had a total area of 3.169 square miles (8.207 km2), including 3.146 square miles (8.147 km2) of land and 0.023 square miles (0.060 km2) of water (0.73%). The Town of Newton is bordered to the north and east by Hampton Township, to the west by Fredon Township, and to the south by Andover Township. Because of its location in the higher elevations of northwestern New Jersey's Appalachian mountains, Newton, as well as the rest of Sussex County, has a cooler humid continental climate or microthermal climate (Köppen climate classification Dfb) which indicates patterns of significant precipitation in all seasons and at least four months where the average temperature rises above 10 °C (50 °F) This differs from the rest of the state which is generally a humid mesothermal climate, in which temperatures range between -3 °C (27 °F) and 18 °C (64 °F) during the year's coldest month. Sussex County is part of USDA Plant Hardiness Zone 6. During winter and early spring, New Jersey in some years is subject to "nor'easters"—significant storm systems that have proven capable of causing blizzards or flooding throughout the northeastern United States. Hurricanes and tropical storms, tornadoes, and earthquakes are relatively rare. The Kittatinny Valley to the north of Newton, part of the Great Appalachian Valley, experiences a snowbelt phenomenon and has been categorized as a microclimate region known as the "Sussex County Snow Belt." This region receives approximately forty to fifty inches of snow per year and generally more snowfall that the rest of Northern New Jersey and the Northern Climate Zone. This phenomenon is attributed to the orographic lift of the Kittatinny Ridge which impacts local weather patterns by increasing humidity and precipitation. In recent years, average temperatures in the county seat of Newton have ranged from a low of 17 °F (−8 °C) in January to a high of 84 °F (29 °C) in July. Average monthly precipitation ranged from 2.86 inches (73 mm) in February to 4.76 inches (121 mm) in June. According to the USDA Natural Resource Conservation Service soil survey, the area receives sunshine approximately 62% of the time in summer and 48% in winter. Prevailing winds are typically from the southwest for most of year; but in late winter and early spring come from the northwest. The lowest recorded temperature was −26 °F on January 21, 1994. The highest recorded temperature was 104 °F (40 °C) on September 3, 1953. The heaviest one-day snowfall was 24 inches recorded on January 8, 1996 (combined with the next day, total snowfall was 40 inches). The heaviest one-day rainfall—6.70 inches— was recorded on August 19, 1955. As of the 2010 United States Census, there were 7,997 people, 3,170 households, and 1,841.770 families residing in the town. The population density was 2,542.2 per square mile (981.5/km2). There were 3,479 housing units at an average density of 1,106.0 per square mile (427.0/km2). The racial makeup of the town was 85.04% (6,801) White, 4.88% (390) Black or African American, 0.49% (39) Native American, 2.98% (238) Asian, 0.05% (4) Pacific Islander, 4.34% (347) from other races, and 2.23% (178) from two or more races. Hispanic or Latino of any race were 12.34% (987) of the population. There were 3,170 households out of which 27.2% had children under the age of 18 living with them, 40.1% were married couples living together, 13.7% had a female householder with no husband present, and 41.9% were non-families. 36.1% of all households were made up of individuals, and 16.8% had someone living alone who was 65 years of age or older. The average household size was 2.34 and the average family size was 3.06. In the town, the population was spread out with 21.2% under the age of 18, 8.7% from 18 to 24, 24.7% from 25 to 44, 26.8% from 45 to 64, and 18.5% who were 65 years of age or older. The median age was 41.9 years. For every 100 females there were 91.5 males. For every 100 females ages 18 and older there were 87.6 males. The Census Bureau's 2006-2010 American Community Survey showed that (in 2010 inflation-adjusted dollars) median household income was $48,702 (with a margin of error of +/- $7,922) and the median family income was $72,266 (+/- $10,712). Males had a median income of $57,369 (+/- $5,859) versus $29,676 (+/- $3,910) for females. The per capita income for the borough was $25,296 (+/- $2,141). About 10.9% of families and 12.8% of the population were below the poverty line, including 21.2% of those under age 18 and 16.6% of those age 65 or over. As of the 2000 United States Census there were 8,244 people, 3,258 households, and 1,941 families residing in the town. The population density was 2,661.7 people per square mile. There were 3,425 housing units at an average density of 1,105.8 per square mile. The racial makeup of the town was 91.97% White, 2.80% African American, 0.13% Native American, 1.97% Asian, 0.01% Pacific Islander, 1.16% from other races, and 1.35% from two or more races. Hispanic or Latino of any race were 3.80% of the population. There were 3,258 households out of which 30.1% had children under the age of 18 living with them, 44.0% were married couples living together, 11.5% had a female householder with no husband present, and 40.4% were non-families. 33.5% of all households were made up of individuals and 14.5% had someone living alone who was 65 years of age or older. The average household size was 2.39 and the average family size was 3.12. In the town, the population was spread out with 23.9% under the age of 18, 7.6% from 18 to 24, 31.2% from 25 to 44, 21.6% from 45 to 64, and 15.6% who were 65 years of age or older. The median age was 38 years. For every 100 females, there were 92 males. For every 100 females age 18 and over, there were 90.5 males. The median income for a household in the town was $44,667, and the median income for a family was $56,484. Males had a median income of $41,089 versus $30,016 for females. The per capita income for the town was $20,577. About 6.9% of families and 11.2% of the population were below the poverty line, including 11.4% of those under age 18 and 11% of those age 65 or over. Newton is home to the Sussex County Historical Society's Hill Memorial Museum, the oldest continuously operating museum building in the state. The society, founded in 1904, offers a research and genealogical collection, and displays focused on the region's history, from Mastodon bones and Native American artifacts and from the Revolutionary War to World War II. Sussex County Arts & Heritage Council operates a gallery on Spring Street. Dennis Library, founded as a private library association in the mid-19th century, now part of the Sussex County Library System. Drama Geek Studios is a non-profit community theatre group, based in Newton, NJ by the Newton Theatre. They offer classes, workshops, and performances to people of all ages in Sussex County. First Presbyterian Church of Newton, founded in 1786, and affiliated with the PCUSA. First Baptist Church of Newton, established in nearby Augusta in the 1750s, moved to Newton in 1810. St. Joseph's Roman Catholic Church, a parish of the Roman Catholic Diocese of Paterson. Temple B'Nai Shalom, a Jewish synagogue and headquarters of Drama Geek Studios. Located one mile south of Newton, Newton Abbey, also known as St Paul's Abbey, is a Benedictine monastery established in the 1920s. Skylands Park in nearby Frankford Township, offers minor league baseball and is the home of the Sussex County Miners. Memory Park, established with 10 acres (4.0 ha) of land donated by Newman E. Drake in 1928. Newton's municipal building, located on Trinity Street, houses the town's offices, municipal court, and police department. Of New Jersey's 565 municipalities, Newton is one of 15 municipalities in the state organized as a town. It operates under the Council-Manager form of municipal government (Plan B), in accordance with the Faulkner Act, formally known as the Optional Municipal Charter Law. This form of government was implemented based on the recommendations of a Charter Study Commission as of July 1, 1978. The town is governed by a five-member Town Council, whose members are chosen at-large in nonpartisan elections to four-year terms of office on a staggered basis, with either two or three seats coming up for election in May of even years in alternating fashion. The council selects a mayor and deputy mayor from among its members to serve one-year terms of office, at a reorganization meeting held annually in July. As of 2018[update], members of the Town Council are Mayor Helen R. Le Frois (term on council ends June 30, 2020; term as mayor ends 2019), Deputy Mayor Daniel G. Flynn (term on committee ends 2020; term as deputy mayor ends 2019), Matthew S. Dickson (2022), Sandra Lee Diglio (2022) and Jason J. Schlaffer (2022). A binding referendum was held in July 2018 in which voters a shift in municipal elections from May to November, a change that could increase participation and save $10,000 in expenses related to the standalone municipal vote; the next municipal election will be in November 2020 and the terms of all five currently serving councilmembers will be extended by six months. The administrative offices for the County of Sussex are located in the center of Newton at One Spring Street. Since 1762, Newton has been the county seat of Sussex County. It is the location of the county's administrative offices, court facilities, and county jail. The town is located in the 5th Congressional District and is part of New Jersey's 24th state legislative district. As of March 23, 2011, there were a total of 4,476 registered voters in Newton, of which 881 (19.7% vs. 16.5% countywide) were registered as Democrats, 1,537 (34.3% vs. 39.3%) were registered as Republicans and 2,052 (45.8% vs. 44.1%) were registered as Unaffiliated. There were 6 voters registered to other parties. Among the town's 2010 Census population, 56.0% (vs. 65.8% in Sussex County) were registered to vote, including 71.0% of those ages 18 and over (vs. 86.5% countywide). In the 2012 presidential election, Republican Mitt Romney received 1,546 votes (50.9% vs. 59.4% countywide), ahead of Democrat Barack Obama with 1,395 votes (45.9% vs. 38.2%) and other candidates with 87 votes (2.9% vs. 2.1%), among the 3,038 ballots cast by the town's 4,645 registered voters, for a turnout of 65.4% (vs. 68.3% in Sussex County). In the 2008 presidential election, Republican John McCain received 1,747 votes (54.8% vs. 59.2% countywide), ahead of Democrat Barack Obama with 1,359 votes (42.6% vs. 38.7%) and other candidates with 62 votes (1.9% vs. 1.5%), among the 3,189 ballots cast by the town's 4,418 registered voters, for a turnout of 72.2% (vs. 76.9% in Sussex County). In the 2004 presidential election, Republican George W. Bush received 1,903 votes (59.6% vs. 63.9% countywide), ahead of Democrat John Kerry with 1,220 votes (38.2% vs. 34.4%) and other candidates with 54 votes (1.7% vs. 1.3%), among the 3,191 ballots cast by the town's 4,359 registered voters, for a turnout of 73.2% (vs. 77.7% in the whole county). In the 2013 gubernatorial election, Republican Chris Christie received 67.3% of the vote (1,210 cast), ahead of Democrat Barbara Buono with 29.5% (531 votes), and other candidates with 3.2% (58 votes), among the 1,808 ballots cast by the town's 4,705 registered voters (9 ballots were spoiled), for a turnout of 38.4%. In the 2009 gubernatorial election, Republican Chris Christie received 1,161 votes (57.0% vs. 63.3% countywide), ahead of Democrat Jon Corzine with 620 votes (30.4% vs. 25.7%), Independent Chris Daggett with 203 votes (10.0% vs. 9.1%) and other candidates with 34 votes (1.7% vs. 1.3%), among the 2,037 ballots cast by the town's 4,323 registered voters, yielding a 47.1% turnout (vs. 52.3% in the county). Established in 1910, Newton has a municipal police department, currently under the leadership of its 10th Chief of Police, Michael S. Richards. Newton is also home to the Sussex County Sheriff's Office. A barracks for the New Jersey State Police is located in Augusta, New Jersey several miles north of Newton. The Newton Public School District serves students in kindergarten through twelfth grade. As of the 2011-12 school year, the district's three schools had an enrollment of 1,532 students and 127.0 classroom teachers (on an FTE basis), for a student–teacher ratio of 12.06:1. Schools in the district (with 2010-11 enrollment data from the National Center for Education Statistics) are Merriam Avenue School (499 students; grades K-5), Halsted Street Middle School (238; 6-8) and Newton High School (800; 9-12). The district's enrollment includes high school students from Andover Borough, Andover Township and Green Township, who attend the high school as part of sending/receiving relationships with their respective home districts. Founded in 1956, the Saint Joseph's Regional School was a private school affiliated with parish of Newton's Saint Joseph's Roman Catholic Church and overseen by the Roman Catholic Diocese of Paterson. St Joseph's provided classes from pre-kindergarten (ages 3–5) to seventh-grade for a total enrollment of 140 students. The school closed in June 2016 and was one of four schools that were merged to form Reverend George Brown School in Sparta Township, New Jersey. Formerly the campus of Don Bosco College, a Roman Catholic seminary, the county government purchased the school's Newton property in 1989 for the use of Sussex County Community College, founded in 1981. Sussex County Community College (commonly referred to as SCCC) is an accredited, co-educational, two-year, public, community college located on a 167-acre (68 ha) campus in Newton. The SCCC campus was formerly the site of Don Bosco College, a Roman Catholic seminary operated by the Salesian Order from 1928 until it was closed in the early 1980s and its campus sold to the Sussex County government in June 1989 for $4.2 million. SCCC was authorized as a "college commission" in 1981 and began operations the following year. It became fully accredited in 1993 by the Commission on Higher Education of the Middle States Association of Colleges and Schools. SCCC offers 40 associate degree and 16 post-secondary professional and health science certificate programs available both at traditional classes at its campus, through hybrid and online classes, and through distance learning. Many students who attend SCCC transfer to pursue the completion of their undergraduate college education at a four-year college or university. The college also offers programs for advanced high school students, community education courses, and programs in cooperation with the New Jersey Department of Labor and Workforce Development. The school had an enrollment of 3,012 students of which half attended full-time and half attended part-time. Newton is located at the intersection of U.S. Route 206 (known within Newton as Woodside Avenue, Main Street, and Water Street), New Jersey Route 94 (known within Newton as High Street and Water Street), and County Route 519 (known within Newton as West End Avenue and Mill Street) and County Route 616 (known within Newton as Spring Street and Sparta Avenue). As of May 2010[update], the town had a total of 28.75 miles (46.27 km) of roadways, of which 21.18 miles (34.09 km) were maintained by the municipality, 4.47 miles (7.19 km) by Sussex County and 3.10 miles (4.99 km) by the New Jersey Department of Transportation. Interstate 80 is accessible approximately 13 miles (21 km) to the south. Newton Station in 1873 was served by the Sussex Railroad. Newton has not had train service since the 1960s. The nearest NJ Transit rail station is Netcong, approximately 12 miles (19 km) to the south. Lakeland Bus Lines provides limited service between Newton and the Port Authority Bus Terminal in Midtown Manhattan. Local bus service is provided by the Skylands Connect bus, which connects to Sparta, Hamburg, and Sussex. Newton Airport is a public-use airport located 3 miles (4.8 km) south of the central business district. Newton Memorial Hospital opened in the early 1930s during the Great Depression. The medical center was established using funds from a willed gift of $35,000 from Thomas Murray (to be specifically used to establish a hospital in Newton) and a $100,000 bequest from Clarence Linn. The hospital "is a short-term, fully accredited, 146-bed acute care, not-for-profit hospital serving more than 250,000 people in Warren and Sussex counties in New Jersey, Pike County in Pennsylvania and southern Orange County in New York." Newton Memorial Hospital was bought by Atlantic Health System and changed its name to Newton Medical Center in 2011. Newton is home to the editorial offices of New Jersey Herald, the state's oldest newspaper, founded in 1829. The town of Newton has two radio stations within its borders: WNNJ, on 103.7 FM, with a format of Rock and WTOC (AM), which serves Newton in Spanish at 1360 AM. WMBC-TV is licensed to Newton, but its studios are in West Caldwell, New Jersey and its transmitter is near Lake Hopatcong. See also: Category:People from Newton, New Jersey. Thomas Oakley Anderson (1783–1844), American naval officer, involved in the raiding party, led by Stephen Decatur on February 16, 1804, to destroy the U.S. frigate Philadelphia which ran aground in Tripoli harbor during the First Barbary War. Danny Baugher (born 1984), punter who has played in the NFL for the Oakland Raiders. Susanna Bokoyni (1879-1984), circus performer and oldest living little person on record. Johnny Budd (1899–1963), football player in the early NFL for the Frankford Yellow Jackets and the Pottsville Maroons. Henry J. B. Cummings (1831–1909), member of the United States Congress who represented Iowa's 7th congressional district. Newman E. Drake (1860-1930), founder of Drake's bakery. Jeff Fogelson (1947–2018), athletic director at Seton Hall University from 1998 to 2006. Janeane Garofalo (born 1964), actress and comedian. John W. Griggs (1849–1927), 27th Governor of New Jersey who later served as United States Attorney General. Robert Hamilton (1809–1878), represented New Jersey's 4th congressional district in the United States House of Representatives from 1873-1877. Ardolph L. Kline (1858–1930), represented Brooklyn in the United States House of Representatives from Brooklyn in 1921–23 and served in 1913 as acting Mayor of New York City. Mary Tuthill Lindheim (1912-2004), sculptor. Robert H. McCarter (1859–1948), New Jersey Attorney General from 1903-09. Henry W. Merriam (1828-1900), shoe manufacturer. Andrew Napolitano (born 1950), former New Jersey Superior Court judge, syndicated columnist, and a senior judicial analyst for Fox News. He owns a maple syrup farm in Newton. Rodman M. Price (1816–1894), represented New Jersey's 5th congressional district in the United States House of Representatives from 1851–1853, and served as the 17th Governor of New Jersey, from 1854 to 1857. Andrew J. Rogers (1828–1900), represented New Jersey's 4th congressional district in the United States House of Representatives from 1863-1867. Red Strader (1902–1956), football player and coach. Matt Valenti (born 1984), two-time national champion wrestler for the University of Pennsylvania who won the 133 pound weight class at the NCAA tournament in both 2006 and 2007. Jenny Owen Youngs, (born 1981) singer-songwriter. Old Newton Burial Ground is a historic cemetery that was the primary burial ground in the town for a century after its establishment in 1762. Sussex County Courthouse - The original courthouse was constructed in 1765 and destroyed by fire in 1847. The structure was rebuilt in 1848. ^ Created in 1739, Morris County encompassed the area of present-day Morris County, Sussex County (created 1753), and Warren County (created from Sussex in 1824) in northwestern New Jersey. Sussex County was created with four large precincts (or townships)—Walpack (created before 1731), Greenwich (created 1738), Hardwick (1750), and Newtown (1751). ^ a b Town Council, Town of Newton. Accessed July 31, 2018. ^ 2018 New Jersey Mayors Directory, New Jersey Department of Community Affairs. Accessed July 31, 2018. As of date accessed, Wayne F. Levante is listed as mayor with a term-end year of 2020. ^ a b Town Manager, Town of Newton. Accessed August 2, 2016. ^ Municipal Clerk, Town of Newton. Accessed June 28, 2012. 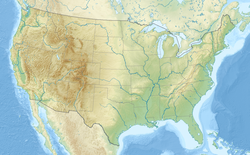 ^ U.S. Geological Survey Geographic Names Information System: Town of Newton, Geographic Names Information System. Accessed March 8, 2013. ^ a b c d e f DP-1 - Profile of General Population and Housing Characteristics: 2010 for Newton town, Sussex County, New Jersey, United States Census Bureau. Accessed February 24, 2013. ^ a b c Profile of General Demographic Characteristics: 2010 for Newton town, New Jersey Department of Labor and Workforce Development. Accessed February 24, 2013. ^ Look Up a ZIP Code for Newton, NJ, United States Postal Service. Accessed February 24, 2013. ^ Zip Codes, State of New Jersey. Accessed October 25, 2013. ^ Area Code Lookup - NPA NXX for Newton, NJ, Area-Codes.com. Accessed October 25, 2013. ^ Directions from New York City Center, 131 W 55th St, New York, NY 10019 to 23 Maple Ave, Newton, NJ 07860, Google Maps. Accessed July 11, 2017. ^ a b Snyder, John P. The Story of New Jersey's Civil Boundaries: 1606-1968, Bureau of Geology and Topography; Trenton, New Jersey; 1969. p. 231. Accessed June 28, 2012. ^ Table 7. Population for the Counties and Municipalities in New Jersey: 1990, 2000 and 2010, New Jersey Department of Labor and Workforce Development, February 2011. Accessed February 24, 2013. ^ Geographic Names Information System (GNIS), United States Geological Survey, Geographic Names Information System Feature Detail Report: Paulins Kill, entered September 8, 1979. Accessed May 11, 2015. ^ Hatcher, Robert D. Jr. "Tracking lower-to-mid-to-upper crustal deformation processes through time and space through three Paleozoic orogenies in the Southern Appalachians using dated metamorphic assemblages and faults" in Abstracts with Programs (Geological Society of America), Vol. 40, No. 6, 513. Accessed August 28, 2012. ^ Lucey, Carol S. Geology of Sussex County in Brief. (Trenton, NJ: New Jersey Geological Survey, November 1969), 21pp. Accessed August 28, 2012. ^ Dalton, Richard. New Jersey Geological Survey Information Circular: Physiographic Provinces of New Jersey (Trenton, NJ: Department of Environmental Protection, State of New Jersey, 2003, 2006). Accessed August 28, 2012. ^ Kevin W. Wright, "Newton Industries", Newton NJ: Pearl of the Kittatinny (newtonnj.net). Accessed May 12, 2015. ^ Master Plan August 2008, Town of Newton. Accessed August 2, 2016. "Newton is located in the approximate geographic center of Sussex County and shares borders with Hampton Township to the north and east, Fredon Township to the west and Andover Township to the south." ^ The determination of Dfb (warm summer subtype) region is from Peel, M. C., Finlayson, B. L., and McMahon, T. A. (University of Melbourne). Updated world map of the Köppen-Geiger climate classification from Hydrology and Earth System Sciences (2007), 11:1633–1644, doi:10.5194/hess-11-1633-2007. Accessed August 3, 2011. ^ a b Thornthwaite, Charles Warren. Atlas of Climatic Types in the United States 1900-1939: U.S. Department of Agriculture Miscellaneous Publication 421. (Washington, DC: U.S. Department of Agriculture, 1941); and Thornthwaite. "The Climates of North America: According to a New Classification" in Geographical Review (October 1931), 21(4):633-655. ^ Climate Summary for Newton, New Jersey, Weatherbase.com. ^ See also: Hare, F.K. "Climatic classification" in Stamp, L.D., and Wooldridge, S.W. (editors). The London Essays in Geography (Cambridge, Massachusetts: Harvard University Press, 1951), 111-134. ^ "What is my arborday.org Hardiness Zone? ", Arbor Day Foundation. Accessed March 31, 2013. ^ 2012 USDA Plant Hardiness Zone Map (USA), United States Department of Agriculture, Agricultural Research Service and Oregon State University. (2012). Accessed August 3, 2013. ^ The Climate of New Jersey, Office of the New Jersey State Climatologist. Accessed September 10, 2015. ^ Carney, Leo. H. "Weather; Microclimates, Big Variations. ", The New York Times, January 30, 2005. Accessed August 1, 2018. "In places like Hidden Valley and throughout the snow belt of northwestern Sussex County, a condition known as orographic lifting can increase humidity and precipitation." ^ Monthly Averages for Newton, New Jersey, The Weather Channel. Accessed October 13, 2013. ^ U.S. Department of Agriculture Natural Resource Conservation Service, Soil Survey of Sussex County, New Jersey (Washington, DC: 2009). ^ Abstract of the Population and Statistics of the State of New Jersey, According to the Census of 1860, p. 12. Phillips and Boswell, 1862. Accessed August 1, 2018. ^ Compendium of censuses 1726-1905: together with the tabulated returns of 1905, New Jersey Department of State, 1906. Accessed October 24, 2013. ^ Raum, John O. The History of New Jersey: From Its Earliest Settlement to the Present Time, Volume 1, p. 271, J. E. Potter and company, 1877. Accessed February 24, 2013. "Newton contains the town of Newton, the seat of justice of the county. It contained in 1850, 3,279 inhabitants; in 1860, including the village 4,098; and in 1870 2,403." ^ Staff. A compendium of the ninth census, 1870, p. 260. United States Census Bureau, 1872. Accessed February 20, 2013. ^ Porter, Robert Percival. Preliminary Results as Contained in the Eleventh Census Bulletins: Volume III - 51 to 75, p. 99. United States Census Bureau, 1890. Accessed October 24, 2013. ^ Thirteenth Census of the United States, 1910: Population by Counties and Minor Civil Divisions, 1910, 1900, 1890, United States Census Bureau, p. 338. Accessed June 28, 2012. ^ Fifteenth Census of the United States: 1930 - Population Volume I, United States Census Bureau, p. 719. Accessed February 24, 2013. ^ a b c d e Census 2000 Profiles of Demographic / Social / Economic / Housing Characteristics for Newton town, New Jersey, United States Census Bureau. Accessed February 24, 2013. ^ a b c d e DP-1: Profile of General Demographic Characteristics: 2000 - Census 2000 Summary File 1 (SF 1) 100-Percent Data for Newton town, Sussex County, New Jersey, United States Census Bureau. Accessed February 24, 2013. ^ DP03: Selected Economic Characteristics from the 2006-2010 American Community Survey 5-Year Estimates for Newton town, Sussex County, New Jersey, United States Census Bureau. Accessed June 28, 2012. ^ About Us, The Newton Theatre. Accessed November 11, 2018. "The historic Newton Theatre, founded in 1924, is a beautifully restored 605 seat performing arts center in the heart of Sussex County, presenting diverse programming, including world-renowned music acts, comedians, family productions, holiday shows and much more, in an intimate setting." ^ Wright, Kevin W. Memory Park, Newton, NJ. Accessed May 30, 2015. "Newman E. Drake acquired 10.84 acres along Moore's Brook from William T. Hixson on September 5, 1928. On November 5, 1928, Newman and Elizabeth Drake donated this tract for use as 'a playground and general recreation field under direction of the Town of Newton.'" ^ "The Faulkner Act: New Jersey's Optional Municipal Charter Law", New Jersey State League of Municipalities, July 2007. Accessed October 25, 2013. ^ 2018 Municipal User Friendly Budget, Town of Newton. Accessed July 31, 2018. ^ Summary Report Newton Municipal Election May 8, 2018 Official Results, Sussex County Clerk, updated May 9, 2018. Accessed July 31, 2018. ^ Summary Report Newton Municipal Election May 10, 2016 Official Results, Sussex County, New Jersey Clerk. Accessed August 2, 2016. ^ Scruton, Bruce A. "May or November? Newton voters decide today", New Jersey Herald, July 31, 2018. Accessed July 31, 2018. "Registered voters in the town have the opportunity to go to the polls today to vote on whether future Newton elections should continue to be held in May or moved to general elections in November. Those favoring the move argue the town would save about $10,000 per year -- the council budgets each year although the election is held in even-numbered years -- and holding the election concurrent with the November election will increase participation." ^ Scruton, Bruce A. "Newton voters OK November town elections", New Jersey Herald, August 1, 2018. Accessed August 1, 2018. "With a turnout of just 16.5 percent, voters in Newton approved a citizen-initiated referendum to move the municipal election from its traditional May date to coincide with the general election in November.... Because Newton holds municipal elections in even-numbered years, the next council election will taken place in November 2020, a presidential year. Those favoring the move, in addition to saving the cost of a May election, said holding elections in November will increase voter turnout, and therefore, participation." ^ Home Page, Newton Police Department. Accessed July 13, 2016. ^ Home Page, Sussex County Sheriff's Office. Accessed July 13, 2016. ^ District information for Newton School District, National Center for Education Statistics. Accessed September 18, 2014. ^ School Data for the Newton Public School District, National Center for Education Statistics. Accessed September 18, 2014. ^ Merriam Avenue School, Newton Public School District. Accessed October 25, 2013. ^ Halsted Street Middle School, Newton Public School District. Accessed October 25, 2013. ^ Newton High School, Newton Public School District. Accessed October 25, 2013. ^ Schools, Newton Public School District. Accessed October 25, 2013. ^ New Jersey School Directory for the Newton Public School District, New Jersey Department of Education. Accessed December 29, 2016. ^ Newton High School 2013 Report Card Narrative, New Jersey Department of Education. Accessed July 20, 2016. "Newton High School serves students from Andover Township, Andover Borough, and Green Township as well as historic Newton." ^ a b About Us: 2015–2016 School Profile, St Joseph's Regional School, Newton, New Jersey, backed up by the Internet Archive as of Match 4, 2016. Accessed September 17, 2018. ^ Scruton, Bruce A. "Catholic schools to merge at Pope John campus", New Jersey Herald, January 28, 2016. Accessed September 17, 2018. "Four Catholic elementary schools, three in Sussex County and the fourth in Netcong, are merging, and by the end of the next school year, students will be housed on a campus at Pope John XXIII Regional High School that will include a new Pope John Middle School, parents were told at a meeting Wednesday.... With the opening of Pope John XXIII Middle School, three current elementary schools -- Immaculate Conception Regional School in Franklin, St. Joseph Regional School in Newton and St. Michael School in Netcong -- will close." ^ Sussex County Clerk's Office (Newton, New Jersey), Register of Deeds. Deed between the Salesian Society, Inc., a corporation of the State of New York being the parent company of Don Bosco College and the Salesian Society of New Jersey, Inc., and The County of Sussex, a political division of the State of New Jersey (May 10, 1989, filed June 22, 1989) in Deed Book 1662, page 022 et seq. (Instrument No. 89-39284). ^ Wright, Kevin. Newton NJ: Pearl of the Kittatinny – "The Horton Mansion Former Don Bosco Campus, now Sussex County Community College". Note: Wright states it was 1984, which is either a typographical error or an intentional copyright trap. Accessed July 10, 2012. ^ "Our History", Sussex County Community College (Newton, NJ). Accessed July 10, 2012. ^ a b Institution Directory: Sussex County Community College, Middle States Association of Colleges and Schools. Accessed July 18, 2012. ^ a b "Degrees, Programs and Certificates", Sussex County Community College (Newton, NJ). Accessed August 2, 2013. ^ "Distance Learning", Sussex County Community College (Newton, NJ). Accessed August 2, 2013. ^ "The Degree Advantage: Complete your Associate Degree at SCCC and give yourself the edge when you transfer", Sussex County Community College (Newton, NJ). Accessed August 2, 2013. ^ Community Education and Workforce Development, Sussex County Community College (Newton, NJ). Accessed August 2, 2013. ^ Fast Facts, Sussex County Community College. Accessed May 30, 2015. ^ Route 94 Straight Line Diagram, New Jersey Department of Transportation. Accessed October 25, 2013. ^ Route 80 - Eastbound to New York; Monday - Friday, Lakeland Bus Lines. Accessed August 1, 2018. ^ Skylands Connect, Sussex County, New Jersey. Accessed September 18, 2014. ^ Newton Airport, New Jersey Department of Transportation. Accessed February 24, 2013. ^ About Us. Atlantic Health System. Accessed September 10, 2015. ^ "Atlantic Health System Announces New Names for its Three Hospitals 'Medical Centers' Reflect Wide Breadth of Advanced Services, High Quality of Care Across Multiple Campuses", Atlantic Health System, press release dated May 9, 2011. Accessed July 31, 2018. "Newton Memorial Hospital in Newton, N.J., will now be known as Newton Medical Center"
^ About the New Jersey Herald, New Jersey Herald, July 31, 2018. Accessed July 31, 2018. "The New Jersey Herald has been a key source for news and advertising for Sussex County and the surrounding area since 1829 when Col. Grant Fitch, a Newton merchant, established the Herald as a weekly newspaper in a building at the corner of Main and Spring streets." ^ WNNJ-FM 103.7 MHz Newton, New Jersey, Radio-Locator.com. Accessed August 1, 2018. ^ WTOC-AM 1360 kHz - Newton, NJ, Radio-Locator.com. Accessed August 1, 2018. ^ About Us, WMBC-TV. Accessed July 31, 2018. "WMBC-TV is an independent, full-power, commercial TV station licensed to Newton, NJ and serving a NY metropolital area of 18 million people." ^ Lee, Francis Bazley. Genealogical and Memorial History of the State of New Jersey, p. 1550. Lewis Historical Publishing Company, 1910. Accessed October 25, 2013. "Thomas Oakley Anderson, son of Thomas and Letitia Anderson, was born in Newton, Sussex county, New Jersey, in 1793, and died there in 1844. In his minority he entered the United States navy, and as an ensign at the age of eighteen years, he took part in the daring attempt of Commodore Decatur to rescue the frigate Philadelphia from the Tripolitans who had captured it." ^ Danny Baugher, Fox Sports (USA). Accessed February 5, 2011. ^ Weird NJ Your Travel Guide to New Jerseys Local Legends and Best Kept Secrets. Barnes and Noble. 2004. p. 120. ISBN 0-7607-3979-X. ^ Yanow, Scott. Swing, p. 22. Hal Leonard Corporation, 2000. ISBN 0-87930-600-9. Accessed November 13, 2015. ^ Johnny Budd, Pro-Football-Reference.com. Accessed February 5, 2011. ^ Henry Johnson Brodhead Cummings, Biographical Directory of the United States Congress. Accessed February 5, 2011. ^ Staff. "Newman E. Drake Dies After Operation; Founder of Bakery Concern Bearing Family Name--Spent Youth on Farm. ", The New York Times, March 20, 1930. Accessed February 5, 2011. "Funeral services will be held at 3:15 PM on Saturday at his late home, 27 Inwood Avenue, Newton, N.J."
^ Perry, Michael. "Fogelson AD candidate at 'Nova", 'The Cincinnati Enquirer, July 9, 1993. Accessed June 28, 2018. "A native of Newton, N.J., he graduated from Lafayette College in Easton, Pa., and worked nine years at Georgetown University in Washington, D.C., before coming to Xavier." ^ Longsdorf, Amy. "Spotlight On Janeane Garofalo Romantic Comedy Star Still Doesn't Feel Like 'The Pretty Girl'", The Morning Call, October 4, 1997. Accessed February 5, 2011. "Born in Newton, NJ, Garofalo's taste in comedy has always run to neurotic funnymen such as Woody Allen and Albert Brooks." ^ Gov. John William Griggs, National Governors Association. Accessed November 11, 2018. "John W. Griggs, the thirty-sixth governor of New Jersey, was born in Newton, New Jersey on July 10, 1849." ^ Robert Hamilton, Biographical Directory of the United States Congress. Accessed September 3, 2007. ^ Staff. "Ex-Mayor Kline Dies At Age Of 72; City's Chief Executive a Few Months Upon Death of Mayor Gaynor in 1913. Once Head Of Aldermen A Brigadier General in the National Guard--Was With U.S. Shipping Board at His Death. Joined National Guard in 1876. Praised by Gaynor. ", The New York Times, October 14, 1930. Accessed October 25, 2013. ^ Goldstein, Richard. "Leonard LaRue, Rescuer in the Korean War, Dies at 87", The New York Times, October 20, 2001. Accessed June 28, 2012. "Brother Marinus Leonard LaRue, who as a merchant marine captain in the Korean War evacuated 14,000 refugees from a besieged North Korean port, died on Sunday at St. Paul's Abbey in Newton, N.J.... In 1954, he left the sea to join the Benedictines at St. Paul's Abbey, where he lived until his death." ^ Staff. "Book details Sausalito artist's life", Twin Cities Times, November 24, 2010. Accessed October 25, 2013. "Born in Newton, N.J., and raised in Tucson, Ariz., Tuthill arrived in California in 1928." ^ Robert H. McCarter: Attorney General 1903-1908, New Jersey Department of Law & Public Safety. Accessed February 5, 2011. ^ Staff. "R. H. M'Carter Dies; Lawyer Since 1882; Attorney General of Jersey, '03-08, Leading Corporation Counsel. Dies in Rumson Had Hall-Mills Defense Former President of State Bar Aided Elections Inquiry in Hudson County in 1938", The New York Times, May 31, 1941. Accessed August 1, 2018. "Born in Newton, N. J., Mr. McCarter was the son of Thomas N. McCarter and Mary Louise Haggerty McCarter." ^ Henry W. Merriam (1828-1900), Sussex County, New Jersey. Accessed September 10, 2015. "Merriam's Home, built in 1883, is an example of 'exuberant Victorian architecture. Upon his death in 1900, the home was bequeathed to the Presbyterian Church for the housing of retired ministers.'" ^ "Sussex County maple syrup available". The Advertiser-News. Straus Newspapers. March 27, 2008. Archived from the original on March 5, 2012. "We collected 800 gallons of sap from our sugar maples and had it boiled down to 24 gallons of delicious, pure maple syrup that area residents can sample from the local shops that have agreed to carry our glass-jarred, locally made syrup," said FoxNews commentator Judge Andrew P. Napolitano, proprietor of Vine Hill Farm. ^ Rodman McCamley Price, Biographical Directory of the United States Congress. Accessed September 24, 2007. ^ Andrew Jackson Rogers, Biographical Directory of the United States Congress. Accessed September 2, 2007. ^ Staff. "Strader Is Named Coach Of Bulldogs", The New York Times, January 6, 1950. Accessed June 28, 2012. "He was born at Newton, N. J., on Dec. 21, 1904." ^ Staff. "Matt Valenti Added to Columbia Wrestling Coaching Staff", Columbia University, August 17, 2007. Accessed February 5, 2011. "A three-time All-Ivy League first team selection, the native of Newton, N.J. earned the Fletcher Award for most team points in a career at EIWA's." ^ Derogatis, Katie (February 13, 2007). "Girl with guitar soundtracks 'Weeds'". Washington Square News (New York University). ^ Newton Cemetery: About Us, Newton Cemetery Company. Accessed February 24, 2013. ^ Revolutionary War Sites in Clifton, New Jersey, Revolutionary War New Jersey. Accessed May 30, 2015. "The oldest part of this cemetery dates back to 1762." ^ Historic Sussex County Courthouse, Sussex County, New Jersey. Accessed May 30, 2015. ^ The Horton Mansion, Newton, NJ. Accessed February 24, 2013. Wright, Kevin W. (1999). Around The Green, Newton, New Jersey. Newton, N.J.: Minisink Press. Wikimedia Commons has media related to Newton, New Jersey. This page was last edited on 3 February 2019, at 01:02 (UTC).